I was doing some R+D about solar filaments with RealFlow, you can find very cool references at this website http://www.helioviewer.org/. This is my personal approximations to this kind of phenomena. I have simulated this using Fibers emitters and some scripting lines to emit from them. The movement of the fibers is achieved thanks to a Noise and Attractor Daemons, these make collide with the sphere. You can increase the number or particles make the sphere emit more particles from vertexes. I used a Simulation Event script to get emitted particles from the particles driven by the fibers, you can download the script and the scene from here. Scripting is, in most of the cases, the way you could get more control over the simulation and the most spectacular effect. To obtain the correct results is needed two simulation steps. 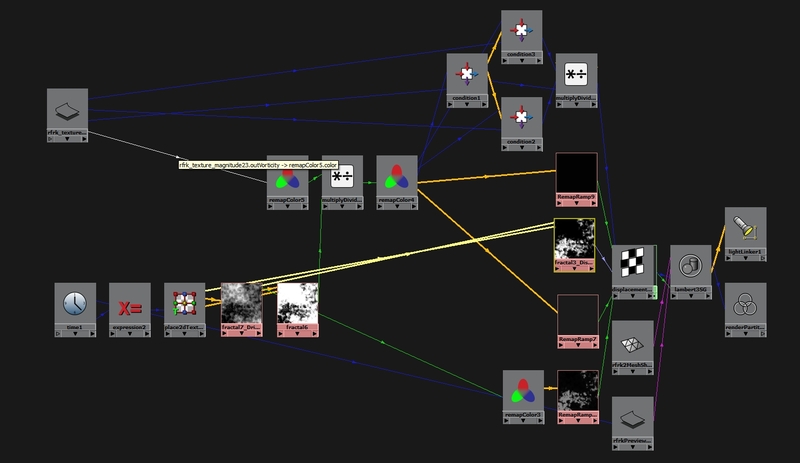 Once loaded the scene, Activate and make visible the Fibers node. Deactivate script from the Simulation Event panel switching off the scripts. (Optional) You can retime this simulated particles if you see they move too quick. Make sure you have loaded in the Binary Loader the particles simulated in the previous step. Deactivate and make visible the Fibers node. Activate the scripts from the Simulation Event panel switching on the scripts.